Below is a complete list of all the campsites in Pals. Want to see if Platja de Pals is the beach for you? Take a look at the pictures of Pals. Location: This Costa Brava camping site is between the urbanisations of Masos de Pals and Sa Punta, 2 km from Pals beach. 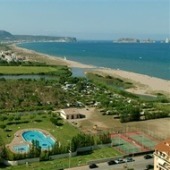 Very close to the golf courses of Golf Playa de Pals, Golf Serres de Pals and Emporda Golf. Description: There are 4 standards of electric pitches available, mobile homes and bungalows with own bathrooms. Camping Cypsela has 2 restaurants, snack bar, bar, supermarket, bakery, hairdressers, medical centre, shuttle bus to the beach, wifi, crazy golf, basketball, aerobics, tennis courts, table tennis, squash, games room, children’s play area, children’s entertainment. Location: This Costa Brava camping site is in the urbanisation of Sa Punta, 500 m to Platja de Pals. Description: There are electric and non-electric pitches available, pre-assembled tents and bungalows with own bathrooms. Camping Interpals also has a swimming pool, children’s swimming pool, jacuzzi, gardens, children’s play area, children’s entertainment, basketball, badminton, football, volleyball, ping pong tables, supermarket, restaurant and internet cafe. 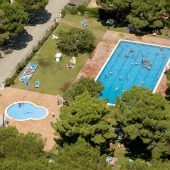 Location: This Costa Brava camping site is in the countryside, 2 km from Pals and 1 km from Regencos. It is also 4 km from Platja de Pals and Begur’s beaches. Description: There are electric and non-electric pitches available, mobile homes and bungalows with own bathrooms. Camping Mas Patoxas also has swimming pool, children’s swimming pool, gardens, children’s play area, children’s entertainment, adult entertainment, aerobics, disco, basketball, squash, football, volleyball, games room, supermarket, restaurant, bar, pizzeria, ice cream parlour and medical services. 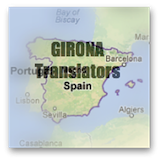 Location: This Costa Brava camping site is sandwiched in between Platja de Pals, Aiguamolls Baix Emporda (Basses d’en Coll nature reserve) and Golf Platja de Pals golf course. Description: There are electric and non-electric pitches available. Camping Playa Brava also has beach access, swimming pool, children’s swimming pool, gardens, children’s play area, children’s entertainment, adult entertainment, disco, yoga, basketball, football, volleyball, table tennis, supermarket, restaurant, bar, bakery and medical services. Location: This Costa Brava camping site is sandwiched in between the urbanisation of Sa Punta and Golf Platja de Pals golf course. 10 minutes walk to Platja de Pals. Description: There are electric and non-electric pitches available. Camping Neptuno Playa de Pals also has beach access, swimming pool, children’s swimming pool, children’s play area, children’s entertainment, adult entertainment, disco, yoga, basketball, football, volleyball, table tennis, supermarket, restaurant, bar, bakery, internet and medical services.